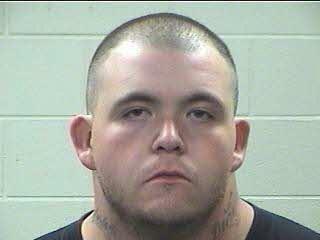 Daniel Cubbison, 26, of Livingston is allegdly a known meth dealer. On April 6, 2012 Narcotics Detective's Christopher Lima and Vance Berry initiated an investigation into the possible illegal use and sale of methmaphetimine by Daniel Cubbison, 26, of Livingston. Tips indicated Cubbison was an employee of a local fast food restaurant and was working on the morning of March 6th. Detective's moved in on Cubbison who was detained at his place of employment and further investigation launched. Information received by witnesses at the scene led Detective's to Cubbison's residence located off of Nottingham Drive in the Shelter Cove Subdivision. Cubbison denied Detectives consent to search residence but enough evidence had been gathered to obtain a search warrant. A search warrant was executed by Detective's and Deputies with the Sheriff's Office on the evening of April 6, 2012. During the search Detective's located several bags of methamphetamine as well as devices used to ingest meth. Cubbison was arrested and charged with manufacture/delivery of controlled substance 4 grams to 200 grams, a first degree felony, and taken to the Polk County Jail where he remains in jail on a $25,000 bond. Investigation into possible other suspects involved continues. Narcotics Detectives Christopher Lima (right) and Vance Berry enter a mobile home at 211 Nottingham off Scenic Loop. Meth Dealer Busted on Good Friday, SCENIC LOOP, April 6, 2012 - At around noon on April 6, 2012, Narcotics Detective Christopher Lima with the Polk County Sheriff's Office and Deputy Mike Nettles went to a mobile home located at 211 Nottingham (near Scenic Loop). Lima was acting on accurate intelligence that a resident of the home, Daniel Cubbison, 26, of Livingston, was a known dope dealer. Lima executed a search warrant and found Cubbison to be in possession of a substantial amount of methamphetamine. Lima and Nettles were soon joined by Narcotics Detective Vance Berry. Cubbison was placed under arrest and charged with manufacture/delivery of a controlled substance (a felony). Cubbison was booked into Polk County Jail. Detective Christopher Lima placed 26 year old Daniel Cubbison under arrest as Deputy Mike Nettles looks on. Lima gathers information from Cubbison's mother who quietly sat on the porch as the search was executed. Narcotics Detective Vance Berry assisted Lima in the search. Berry and Lima have proven to be an effective team in going after drug dealers. A Crown Royal whiskey bag containing methamphetamine was found by Lima.